Drop shoulder style. 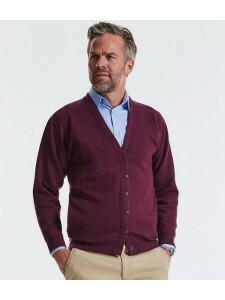 Six button cardigan (five on XS). Side seam pockets. Ribbed neckline, cuffs and..